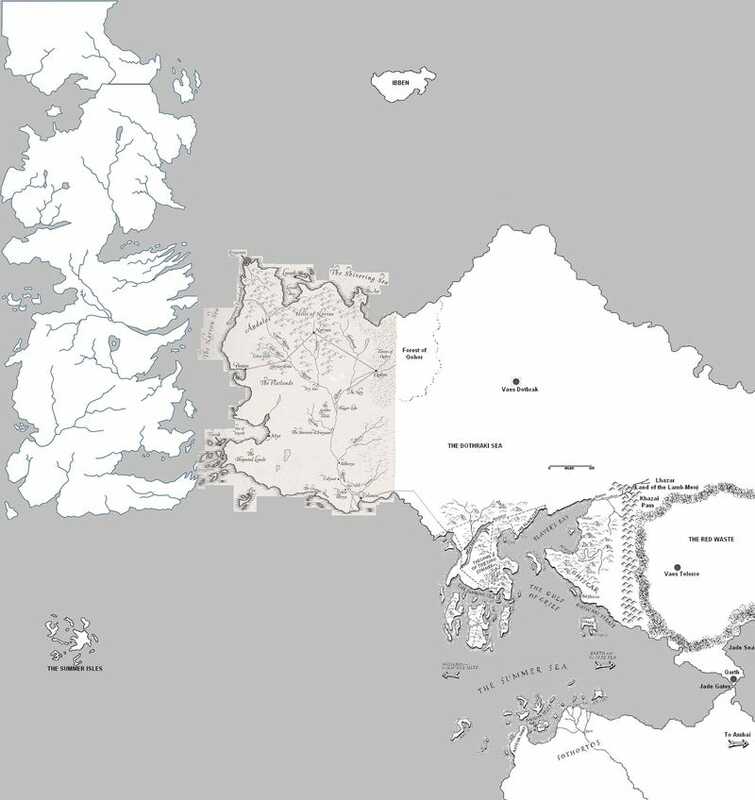 HBO's released their version of Westeros earlier this year, but Adam Whitehead of The Wertzone has been pondering the layout for George R.R. Martin's fantastical world for a while now. Here, Whitehead takes a look at the lands beyond Westeros. Thanks to one of the more detailed maps of the Free Cities that appeared recently, I have managed to assemble a very rough speculative world map. Note that, whilst much of the coastline and in particular the area around Qarth is totally random, the distance from the Free Cities to Slaver's Bay is accurate. I also based the far north-eastern coast of Essos on screengrabs from the Game of Thrones TV title sequence, which shows the coastline beyond Vaes Dothrak. I also included the Summer Isles (south of Westeros) and the Iceland-like island of Ibben in the far north. Not show are Asshai and the other lands of the Jade Sea. In addition, I based this map on the 'Jade Sea = Indian Ocean' school of A Song of Ice and Fire cartography rather than the 'Jade Sea = Black Sea' school, pretty much for no other reason than I felt like it. This post originally appeared on The Wertzone.